The off-season is well in full swing now as the majority of free agency is behind us. While NFL teams are currently getting set for the 2018 Draft, fantasy owners look forward to their drafts. A lot has changed throughout the off-season. How will that affect players performance? Who will get better, who will get worse? All of these are questions that won’t be answered until Week 1. Until then we can only predict what will happen. This is the second mock draft I have done during the off-season, if you’d like to look at the first one you can find it HERE. This won’t be the last mock draft done, we’ll have one released in June for a post-draft mock. The final mock-draft of the year will be released in the middle of August after training camp. All draft positions listed below are heavily influenced by the ADP of current off-season mock drafts on ESPN & Yahoo. This is a pure mock-draft and doesn’t have written analysis with it. If you’d like to pick my brain, contact me on Twitter HERE. Do you think your favorite player should be higher? Arik Krause is one of our NFL & Fantasy Football columnists, you can contact him on Twitter HERE. 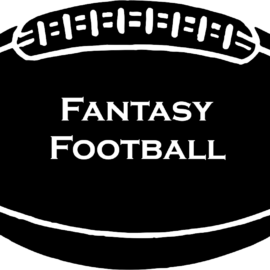 You can see some of his previous fantasy football work, including weekly articles during the season by clicking HERE.